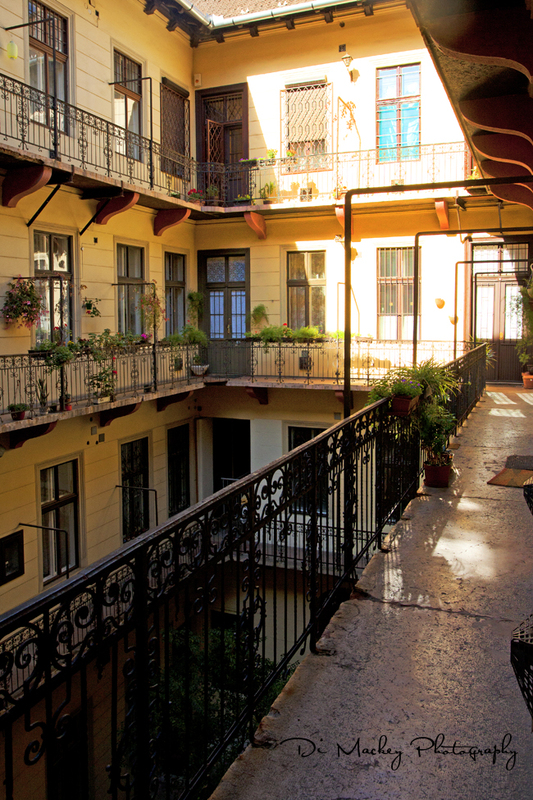 Julie had found us an Air B&B apartment located directly behind the opera house and just off Andrássy Avenue. There's a photograph of the exquisite interior courtyard at the end of this post. We were two floors up, 6 flights of stairs but honestly ... worth it. Things I loved about Budapest: the ruin pubs, most especially Szimpla. Jennifer took us to both Szimpla and Instant ruin pubs and honestly, loved them. Komédiás Kávéház was a delightful find - again, introduced to us by Jennifer. Fodor's pretty much have it covered when they write, Also called Café le Comédien, this ravishingly elegant little café in the heart of the main theater district, next door to the Thália Theater and near the Opera House, has live piano music daily from 7 PM and has an impressive cherry-wood-like staircase leading up to its small second-floor room. On the second night, Jennifer found yet another treasure and there I ate a Hungarian dish called Sztrapacska, a dish that will go on my top 5 dinners in the world so far. She has superb taste in wines too and so it was that we had another delightful Hungarian red wine with our food. It may be that she will cross-post a Hungarian wine post for me here. We really enjoyed all that we tasted. And the food has all been very affordable. Budapest impressed me for so many reasons. Andrássy Avenue became familar very quickly, the Opera House too. We ended up using a hop on/hop off bus, attempting to cover as much of the city as possible during our two nights there. We crossed the Danube on the bus and it took us up into the hills of Pest ... or was it Buda? Buda I think. Up there we met Iain, a fellow kiwi who wandered over and asked us if we were kiwis. It was lovely to meet someone from home. The accent still gives me the most delightful jolt when I hear it unexpectedly. We chatted a while, up there on the hill and then later, said hi when we met up with him and his Spanish traveling companions in the ruin pub. And once all this traveling is done, I hope to hunt down books on the history of the city, and the characters who helped create it, most particularly Matthias Corvinus, 1443-1490. He seems like he might have been a fascinating man. As a Renaissance ruler, he established education institutions, patronized art and science, and introduced a new legal system in the Kingdom of Hungary. In the era of his kingship, Matthias strongly endeavored to follow the model and ideas of the philosopher-king as described in Plato’s Republic. There were sad stories too but they're for another post perhaps. I would like to return and explore some more of this country called Hungary. I was intrigued, fascinated and impressed by the people, the cuisine, the city of Budapest.